Zevrix Solutions announces LinkOptimizer 5.2.9, a feature update to company’s workflow automation solution for Adobe InDesign. LinkOptimizer works with Photoshop to lets users automatically scale and crop images to their InDesign size at specified target resolution, convert image formats, adjust colors, embed profiles and more. The new version lets users add link serial number, whether per page or document, to the optimized image names with the option to specify the number of leading zeros. Toronto (ON), Canada — Zevrix Solutions today announces LinkOptimizer 5.2.9, a feature update to its image processing automation solution for Adobe InDesign. Awarded 4 out of 5 stars by Computer Arts magazine, LinkOptimizer automates complex image manipulation tasks and helps users reduce the size of InDesign links, save prepress costs, and easily repurpose InDesign documents for web and mobile devices. The new version adds two new variable tokens for the optimized image name: the link’s serial number per page and per InDesign document. Each token gives users an option to specify the number of digits per serial number to allow for leading zeros. The new tokens are especially helpful to the users who wish to simplify their image names without breaking the links to InDesign. As a result users can save gigabytes of disk space and countless hours of optimizing images manually, accelerate document output, reduce job turnaround and cut costs through faster processing. LinkOptimizer can be purchased from Zevrix website for US$259.95 (Lite version: $179.95) as well as from Adobe Exchange and authorized resellers. Trial is also available for download. The update is free for LinkOptimizer 5.x users and $130 to upgrade from previous versions. LinkOptimizer requires macOS 10.7-10.13 and Adobe InDesign / Photoshop CS5-CC 2018. Located in Toronto, Canada, Zevrix Solutions provides productivity solutions for Adobe Creative Suite and Creative Cloud software, PDF and graphic file diagnostics, as well as Microsoft Office on Mac OS. Zevrix Solutions is dedicated to helping professionals increase their profits through automating their everyday tasks, producing error-free documents, saving disk space and cutting production costs. For more information, visit http://www.zevrix.com. Zevrix Solutions announces LinkOptimizer 5.2.6, a maintenance update to company’s workflow automation solution for Adobe InDesign. LinkOptimizer lets users automatically scale and crop linked images to their InDesign dimensions at specified target resolution, convert image formats and colors, apply sharpening, and more. The new version addressed a Photoshop bug that prevents third party tools from opening images whose names contain URL encoded characters in Unicode percent escape format. Toronto (ON), Canada — Zevrix Solutions today announces LinkOptimizer 5.2.6, a maintenance update to its image processing automation plug-in for Adobe InDesign. Awarded 4 out of 5 stars by Computer Arts magazine, LinkOptimizer automates complex image manipulation tasks and helps users reduce the size of InDesign links, save prepress costs, and easily repurpose InDesign documents for web and mobile devices. The new version addresses a Photoshop bug that prevents AppleScript from opening files with URL encoded names. As a result, LinkOptimizer cannot process images whose names contain UTF encoded characters in the so called Unicode percent escape format. With the new update LinkOptimizer will identify the issue during processing and inform theuser of the exact nature of the problem rather than only displaying a generic error message from Photoshop. The user will be advised to remove the Unicode codes from the file name in order to process the affected images. “LinkOptimizer has changed my life and saved me days and days of work as a retoucher for an international quarterly magazine,” says Steve Krason of Chicago based SK Design Group. “It’s a lifesaver”. LinkOptimizer can be purchased from Zevrix website for $259.95 USD (Lite version: $179.95) as well as from Adobe Exchange and authorized resellers. Trial is also available for download. The update is free for LinkOptimizer 5.x users and $130 to upgrade from previous versions. LinkOptimizer requires macOS 10.7-10.13 and Adobe InDesign / Photoshop CS5-CC 2018. Located in Toronto, Canada, Zevrix Solutions provides automation and productivity solutions for Adobe Creative Cloud and Creative Suite software, PDF workflows, graphic file diagnostics and Microsoft Office output on Mac OS. Zevrix is dedicated to help professionals increase their profits through automating everyday tasks, producing error-free documents, saving disk space and cutting production costs. For more information, visit http://www.zevrix.com. Copyright (C) 2018 Zevrix Solutions. All Rights Reserved. Other trademarks and registered trademarks may be the property of their respective owners. Zevrix Solutions announces LinkOptimizer 5.0.18, a feature update to company’s workflow automation solution for Adobe InDesign. LinkOptimizer allows to reduce the size of InDesign links and speed up processing by eliminating excess image data. The software also performs image adjustments, converts formats and helps repurpose files for web and mobile devices. The new version lets users preserve image multiresolution information and save transparency when converting InDesign links to TIFF. Toronto (ON), Canada — Zevrix Solutions today announces LinkOptimizer 5.0.18, a feature update to its workflow automation solution for Adobe InDesign. Awarded 4 out of 5 stars by Computer Arts magazine, LinkOptimizer automates complex image manipulation tasks helping users reduce the size of InDesign links, save processing time, and repurpose InDesign documents for web and mobile devices. The new version gives users access to two additional Photoshop TIFF conversion options directly from LinkOptimizer. The option to save image pyramid allows to preserve multiresolution information of the source InDesign link, while the save transparency setting preserves transparency as an additional alpha channel when the file is opened in another application. –run a Photoshop Action on each image. As a result, users can save gigabytes of disk space, accelerate document output, reduce job turnaround and cut costs through faster processing. LinkOptimizer can be purchased from Zevrix website for US$259.95 (Light version: $179.95) as well as from Adobe Exchange and authorized resellers. Trial is also available for download. The update is free for LinkOptimizer 5.x users and $130 to upgrade from previous versions. LinkOptimizer requires Mac OS X 10.7-10.12 and Adobe InDesign / Photoshop CS5-CC 2017. Zevrix Solutions announces LinkOptimizer 5.0.15, a maintenance update to company’s workflow automation solution for Adobe InDesign. LinkOptimizer allows to reduce the size of InDesign links and speed up processing by eliminating excess image data. The software also performs image adjustments, converts formats and helps repurpose files for web and mobile devices. The new version addresses an issue in which user defined image quality settings weren’t applied when converting InDesign links to JPEG. Toronto (ON), Canada — Zevrix Solutions today announces LinkOptimizer 5.0.15, a maintenance update to its workflow automation solution for Adobe InDesign. Awarded 4 out of 5 stars by Computer Arts magazine, LinkOptimizer automates complex image manipulation tasks and allows to significantly reduce the size of InDesign links, save processing time and reduce production costs. The new version addresses an issue in which user defined image quality settings weren’t applied when converting InDesign links to JPEG. The update also fine-tunes the processing progress reporting and ensures that Photoshop errors are correctly presented on international versions of macOS. -run a Photoshop Action on each image. Zevrix Solutions announces LinkOptimizer 4.9.62, a maintenance update to its workflow automation solution for Adobe InDesign. LinkOptimizer lets users reduce the size of InDesign links by eliminating excess image data according to their final size and target resolution. The app can also perform essential image adjustments and convert colors and file formats. The new version improves the reliability of Photoshop sharpening filters application and addresses some image format conversion issues. Toronto (ON), Canada — Zevrix Solutions today announces the release of LinkOptimizer 4.9.62, a maintenance update to its workflow automation solution for Adobe InDesign. LinkOptimizer helps users automate complex repetitive image manipulation tasks and easily repurpose InDesign documents for web and mobile devices with just a click of a button. The new version addresses an issue in which the user defined automatic application of the Sharpen More filter in Photoshop could be omitted under certain condition. This issue didn’t affect the action of the Unsharp Mask and Sharpen commands. The update also improves the reliability of GIF image conversion and fixes some minor UI glitches. -Resize links to match their InDesign dimensions at a target resolution. -Reduce link size by eliminating excess image data. –Convert image colors and apply ICC profile. –Merge layers and delete hidden ones. -Optimize files for web and mobile devices. As a result users can save gigabytes of disk space and hours of optimizing images manually, accelerate document output, reduce job turnaround and cut costs through faster processing. LinkOptimizer can be purchased from Zevrix website for US$259.95 (Light version: $179.95) as well as from authorized resellers. Trial is also available for download. The update is free for LinkOptimizer 4.x users and $130 to upgrade from previous versions. LinkOptimizer requires Mac OS X 10.6-10.11 and Adobe InDesign/Photoshop CS3-CC 2015. Located in Toronto, Canada, Zevrix Solutions provides productivity solutions for Adobe Creative Suite software, PDF and graphic file diagnostics, as well as Microsoft Office on Mac OS. 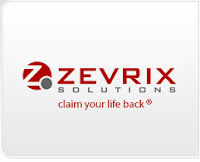 Zevrix Solutions is dedicated to helping professionals increase their profits through automating their everyday tasks, producing error-free documents, saving disk space and cutting production costs. For more information, visit http://www.zevrix.com. Zevrix Solutions announces LinkOptimizer 4.9.60, a maintenance update to its workflow automation solution for Adobe InDesign. Awarded 4 out of 5 starts by Computer Arts magazine, LinkOptimizer allows to automatically reduce the size of InDesign picture links and speed up processing by eliminating excess image data, performing essential image adjustments and converting image formats. The new version addresses several issues related to image preview handling and link list management. Toronto (ON), Canada — Zevrix Solutions today announces the release of LinkOptimizer 4.9.37, a maintenance update to its workflow automation solution for Adobe InDesign. Awarded 4 out of 5 stars by Computer Arts magazine, LinkOptimizer automates complex image manipulation tasks allowing users to significantly reduce the size of InDesign links, save processing time and reduce production costs. The new version addresses an issue in which the previews for color images could be rendered in grayscale under some rare conditions. The update also fixes an error where the sort order for ignored links was incorrect when sorted by file size, as well as some other minor performance and usability glitches. As a result users can save gigabytes of disk space, accelerate document output, reduce job turnaround and cut costs through faster processing. LinkOptimizer can be purchased from Zevrix website for US$259.95 (Light version: $179.95) as well as from authorized resellers and Adobe Exchange. Trial is also available for download. The update is free for LinkOptimizer 4.x users and $130 to upgrade from previous versions. LinkOptimizer requires Mac OS X 10.6-10.11 and Adobe InDesign and Photoshop CS3-CC 2015. Zevrix Solutions announces that LinkOptimizer, its workflow automation solution for Adobe InDesign, is now available for direct purchase on MacUpdate under its Enhanced Product Pages program. LinkOptimizer helps users reduce the size of InDesign links by eliminating excess image data, convert image colors, formats and more. As a result users can save gigabytes of disk space, accelerate output, reduce production time and costs, and effortlessly repurpose InDesign jobs for web and mobile devices. Toronto (ON), Canada — Zevrix Solutions today announces that LinkOptimizer, its workflow automation solution for Adobe InDesign, is now available for direct purchase on MacUpdate full time through its Enhanced Product Pages program. LinkOptimizer automates complex image manipulation tasks helping users reduce the size of InDesign links, save processing time and production costs, and repurpose InDesign documents for web and mobile devices. MacUpdate began in 1996 as a forum for Mac enthusiasts to discuss and track Mac software updates and releases. Now, over a million users discover, discuss, try and purchase over 40,000 apps from over 6,000 developers. The new Enhanced Product Pages Program creates an easy way for MacUpdate members to purchase LinkOptimizer in just one click directly from its existing MacUpdate listing. –Resize links to match their InDesign dimensions at a target resolution. –Convert colors and apply ICC profile. -Merge layers and delete hidden ones. LinkOptimizer can be purchased from MacUpdate for US$259.95 (Light version: $179.95) . Trial is also available for download. LinkOptimizer requires Mac OS X 10.6-10.11 and Adobe InDesign and Photoshop CS3-CC 2015.